Монография представляет собой комплексный анализ системы инновационной экономики Израиля – страны, которая является одним из самых успешных примеров её создания и развития. Важными особенностями книги помимо того, что это первое в русскоязычном израилеведении комплексное исследование инновационной системы Израиля, являются: исследование динамики развития экономики инноваций этой страны – с самого начала ХХ в. и до 2014 г.; подробное рассмотрение современной структуры экономики инноваций Израиля; наличие в работе конкретных рекомендаций по развитию российско-израильского сотрудничества в сфере инноваций. Этим и обусловлены её значение и актуальность. Монография состоит из введения, пяти глав, заключения и пяти приложений. The book is an example of the state’s innovation system complex analysis. Israel is chosen because this country is an outstanding case of creating this type of economy within a relatively short period of time. 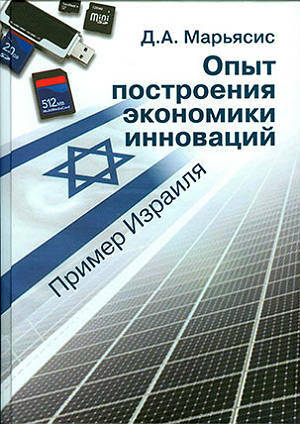 This book is a first overall research of Israeli model of innovations economy accomplished in Russian language. This research work consists of preface, 5 chapters, conclusion, and 5 appendixes. The author presents the periodization of Israel innovations economy development process. It is the first time in Russian Israel studies research that the Jewish community of Palestine economic development since the second half of the 19th century to the year 1948, when the State of Israel was created, is described as a full-value stage of the state economic development. From the earliest days of its existence, the young Jewish state has paid considerable attention to different scientific and technological aspects of its economy. The results of scientific and technological activities of Israelis in the early days of the state could be seen in a number of significant inventions and discoveries of the world level. Gradually the country formed its system of innovation. In the 1960s, in view of the state’s needs in the modern defense system, it was driven by military industry. Important decisions were taken that contributed to the institutionalization of innovative activity in the country. The author gives an analytical description of the Israeli innovation economy present-day structure that includes innovation activity of state and academic institutions, private companies as well as the legal background of such activities. To date, Israel has strongly taken the place of the global incubator of new technologies. Country accumulates significant funds of foreign investors. 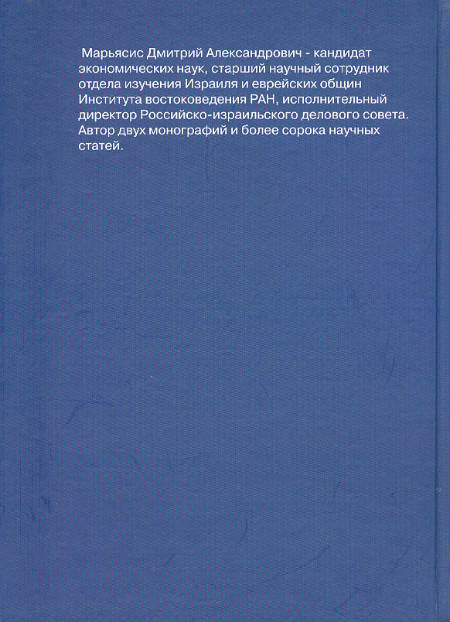 The book describes the possibilities of Russia-Israel cooperation in the field of innovation that is able to foster this cooperation and to bring it to a substantially higher level of interaction. The author also shows how different aspects of Israeli innovation economy model may be useful for Russia in its attempt to build local innovation economy. Israel may also be important as the major Russian partner for scientific and technical cooperation. The book shows that there is a number of good reasons for it to happen. The two sides just need to claim the establishment of bilateral relations to the one of the strategic goals. It is hoped that this monograph will serve this process. The work uses a wide range of sources: international and Israeli statistical publications, books on innovation theory and practice, research papers on different aspects of Israeli economy development. This research work could be interesting for different groups of people. Among them are those who are involved in different aspects of Israeli studies; those who are dealing with wide range of issues in the field of innovations; those who are involved in the process of national innovation economy building process in Russia.